Gleaming and opalescent, this Arya Star threadless end from Alchemy adornments combines classic white opals with a genuine moonstone center. 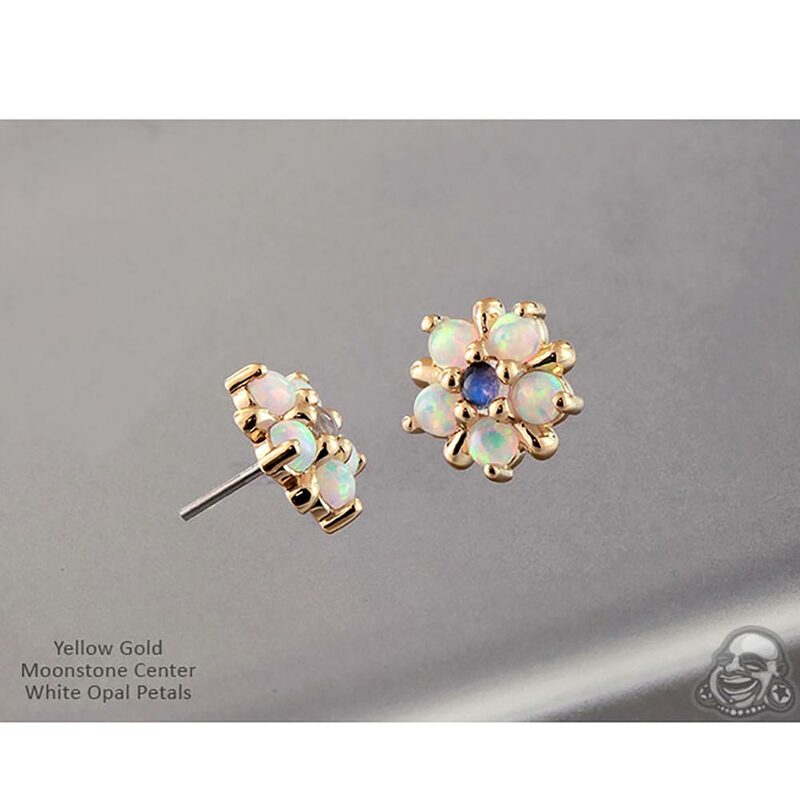 This end has synthetic white opal petals with a genuine moonstone center. The settings are made with solid 14K gold. The inlays measure 2mm and the end has an overall external diameter of approximately 7mm.